This picture is worth a thousand words. It is why I do this. Something that came up last week during the Chics With Tools Words on Wood Workshop was the idea of feeding our souls. As women, generally speaking, we put ourselves on the back burner, especially when it comes to taking care of our interiors, our souls. Part of that is doing things God designed us to do. In my case, that includes the visual arts. Both classes had great groups of women who were a lot of fun. One of my favorite aspects was seeing the teamwork and encouragement these ladies gave one another. When it was all said and done, everyone had a finished work of art and a little “soul feeding”. Everyone chose from three board options in advance. They also were able to preview stencil choices so they could get their juices flowing ahead of time. Some ladies had something very specific in mind, such as a quote they had seen. Others had been inspired by a Pinterest idea. Then there were those who were just there for the fellowship and made a plan once they got there. We started by staining the wood. While it was drying, we had poster board at the ready for everyone to plan out their designs. Then we moved on to dry brushing, more designing, and finally, stenciling. The results were great, as these pictures can attest. And just like people, no two were exactly alike. 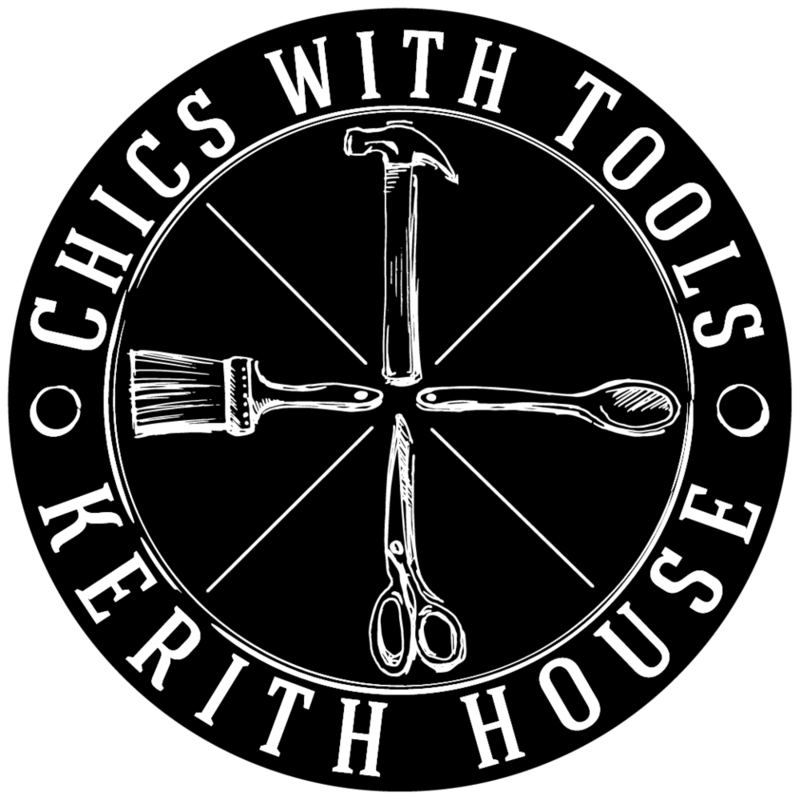 Way to go, you “chics with tools”!